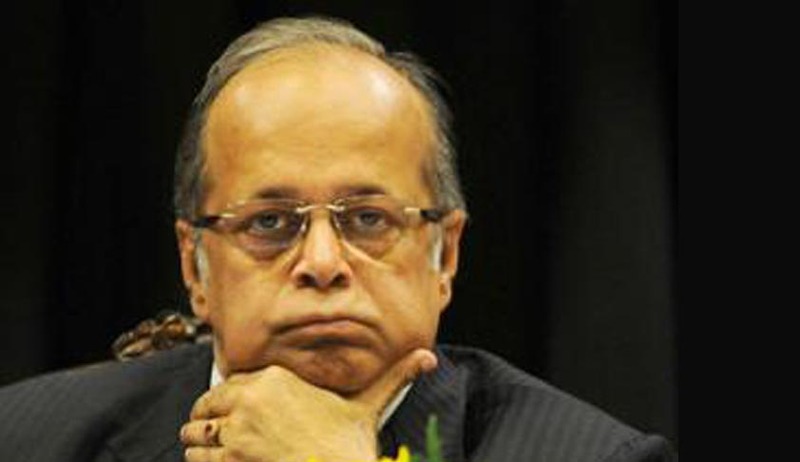 Union Cabinet today approved the Law ministry’s proposal to send Justice Ganguly’s case to the presidential reference to an inquiry by the Supreme Court which is a sine qua non for his removal from the post of WBHRC Chairman. As per S.23 of the Human Right Act, the Chairperson or, any other Member of the State Commission shall only be removed from his office by order of the President on the ground of proved mis behaviour or incapacity after the Supreme Court, on a reference being made to it by the President, has, on inquiry held in accordance with the procedure prescribed in that behalf by the Supreme Court, reported that the Chairperson or such other Member, as the case may be sought on any such ground to be removed. Earlier the law ministry and the home ministry has reached a consensus that prima facie a case can be made out against the former Supreme Court judge. The matter then sent to Attorney General G. E. Vahanvati, who has given a signal to proceed for a presidential preference for the removal of Justice AK Ganguly from his position as Chairman of the West Bengal Human Rights Commission. Additional Solicitor General Indira Jaisingh also wrote to the Prime Minister of India for initiating action under Section 23 of the Human Right Act, 1993 for removal of Justice A K Ganguly from the post of chairman of WBHRC on the ground of “proved misbehaviour” who according to the Supreme Court panel had committed “unwelcome sexual advances towards a law intern”. Reacting to the new development she said "I think it's very significant because the issue is of great public importance and that is the behaviour of a judge towards women, specially when it happens to be a retired supreme court judge and currently heading WBHRC,". "I have been saying repeatedly, women rights are human rights, and such a person can't occupy the position. So having set the procedure into motion we still have to wait and see," "I welcome this step for the reason that Justice Ganguly has been saying that he deserves to have his day in court that a due process will have to be followed. Even his supporters have been saying that due process is required to be followed. The significance of this I think that due process has been set on motion and will be followed,"